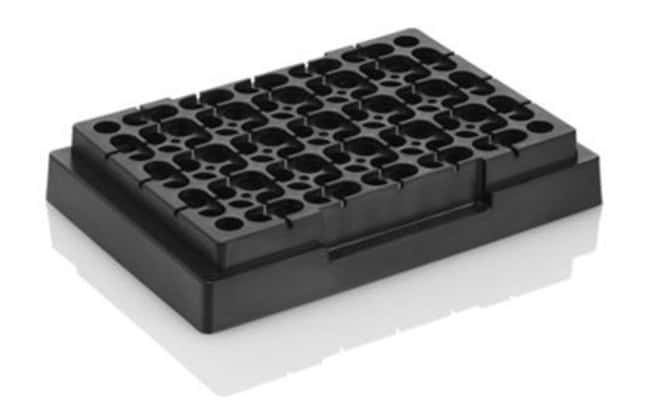 Applied Biosystems® MicroAmp® Bases are designed to hold MicroAmp® Reaction Tubes in MicroAmp® Tray/Retainer Sets or 96-Well Reaction Plates for convenient pre-PCR and post-PCR sample processing. Use with instruments that have heated sample covers to eliminate condensation and the need for a mineral oil overlay. Proprietary MicroAmp® Reaction Tubes are essential for high-performance PCR. They ensure the greatest temperature and amplification uniformity for your samples. Contains 10 MicroAmp® Splash Free 96-Well Bases. Store at room temperature.